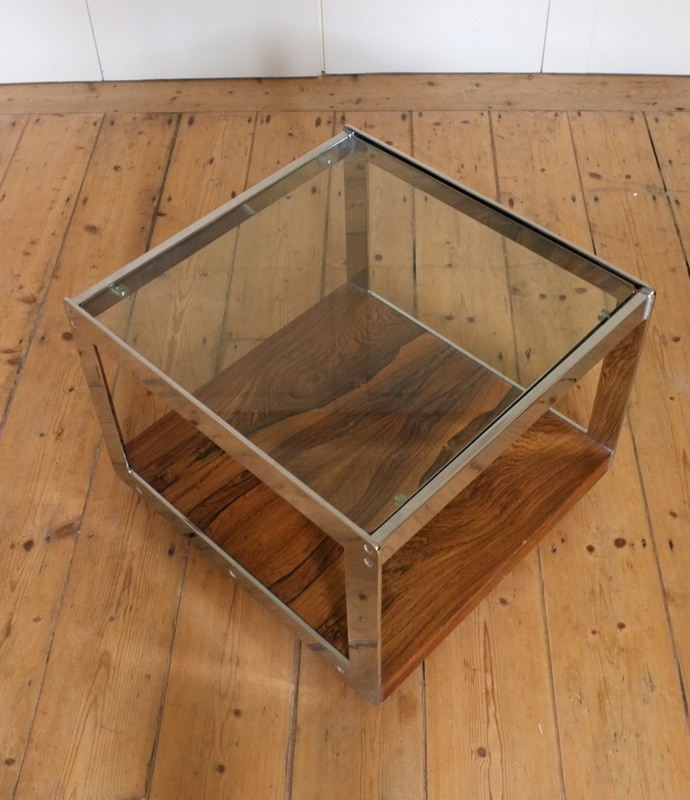 A rosewood and chrome coffee table designed by Richard Young for Merrow Associates in the late 1960s/early 1970s. 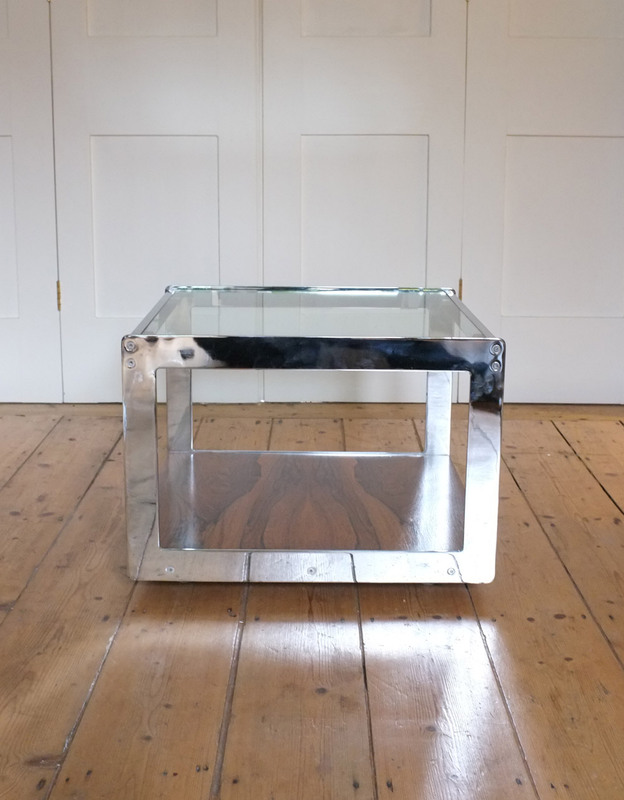 A classic and sought after piece of British design. 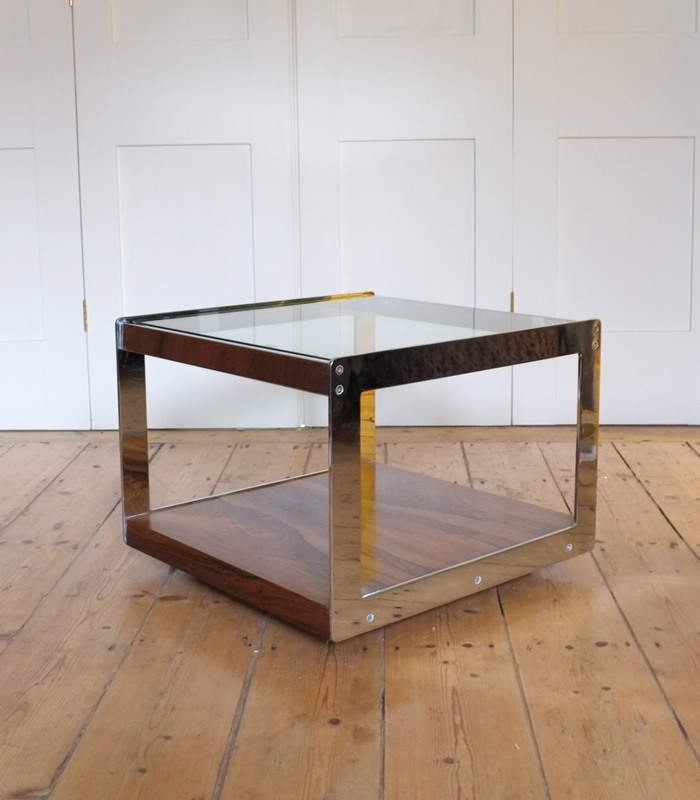 A beautifully figured rosewood veneered base on casters with heavy chrome frame and thick glass top. 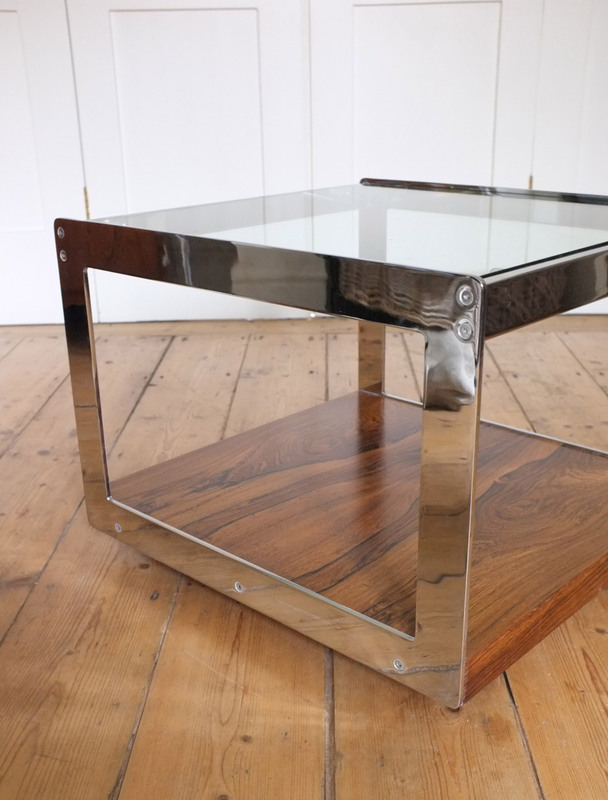 In excellent condition, the chrome is free from rust or flaking, there is a very small chip on the base and a small bubble to the glass (please ask for photos).